There’s something about a Rolex that makes the world go crazy. The new Rolex Oyster Perpetual Cosmograph Daytona was introduced at Baselworld 2016, and it was one of the top watches showcased. There were a few updates to the 2016 model; the watch dial is now available in black or white with the white dial including black rings around the sub-dials instead of silver. However, the primary difference is the Cerachrom bezel. This new bezel is corrosion resistant and virtually scratch proof. The color is unaffected by UV rays, so you won’t have to worry about your watch developing a patina. The bezel is also a single piece which helps this watch maintain its water resistance. All in all, this version is very similar to the 2015 Daytona with the same diameter and depth, same calibre 4130 automatic chronograph movement, and same overall Rolex Daytona appearance. You may be confused why the watch community went so crazy for the new Rolex Daytona when it’s very similar to previous versions. The simple explanation is that this is a Rolex. The brand is incredibly popular for both watch connoisseurs and novices. On top of that, the Rolex Daytona is one of the best known chronographs in the world. 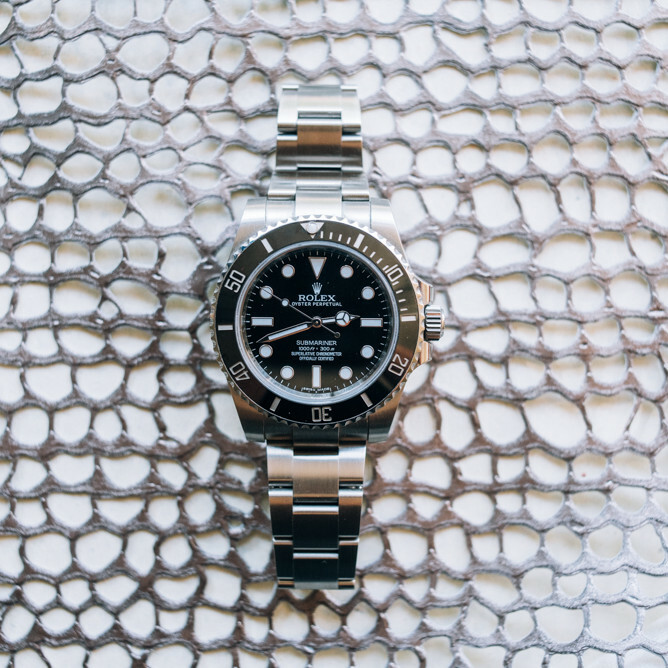 When Rolex debuts a new model, there’s bound to be excitement. However, that’s the simple explanation; I believe there’s another less-generic explanation. The watch community is particular, and they want their watch to be not only technologically advanced but also aesthetically pleasing. When a watch connoisseur invests in a watch, they look at every aspect of the watch from the movement to the dial layout to the quality of the crown. A new bezel or additional dial options can be the change necessary for a watch connoisseur to commit to a new model. The Rolex Oyster Perpetual Cosmograph Daytona is water proof up to 10 bar (100 meters) with its screwed down case back and Triplock crown. The bezel includes an engraved Tachymetric scale that can measure average speeds up to 400 miles per hour. The movement is developed and manufactured in-house and it offers approximately a 72-hour power reserve. The watch is available in steel with a white or black dial, yellow gold with a green dial, or white gold with a blue dial. The bracelet is a solid-link Oyster bracelet with an Oysterlock safety clasp. It comes with a five-year warranty and is Superlative Chronometer certified, meaning this watch is accurate +/- 2 seconds per day. Step 1: Call your nearby Rolex AD. Step 2: Add your name to the waitlist and put down a deposit if required. At retail, this watch goes for $12,400 USD.